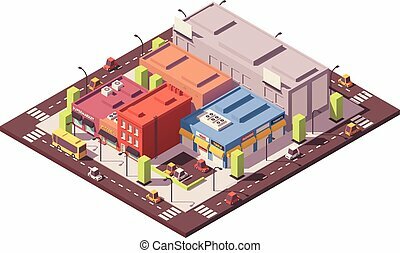 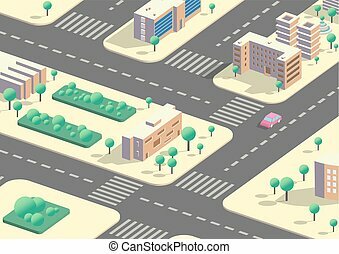 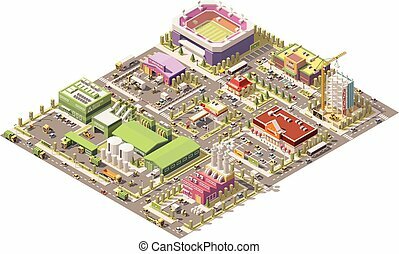 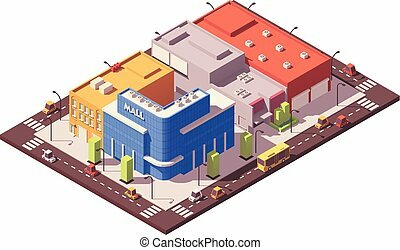 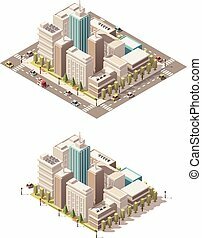 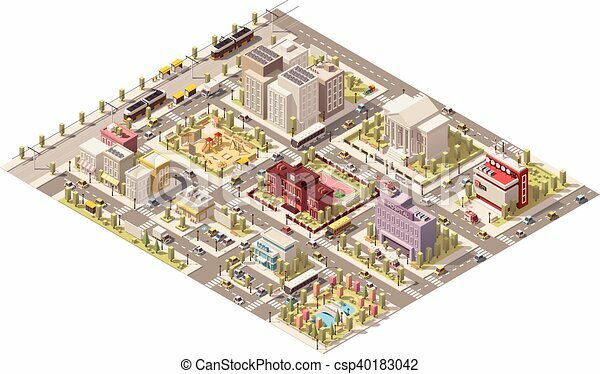 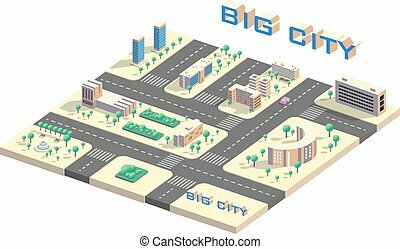 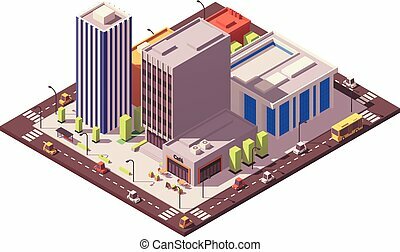 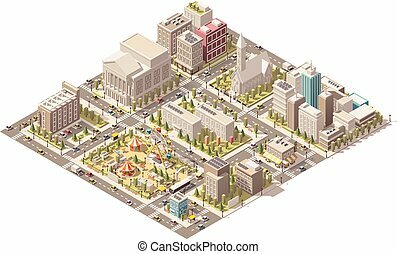 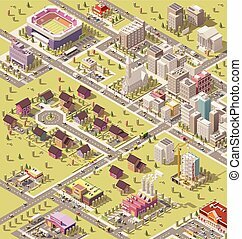 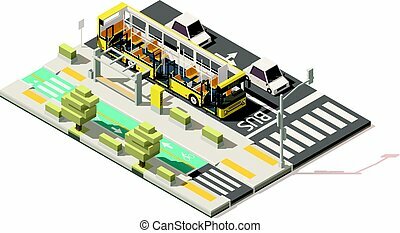 Vector isometric low poly city infrastructure. 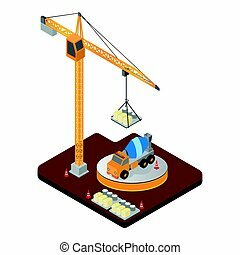 Vector isometric low poly Construction crane, vector illustration. 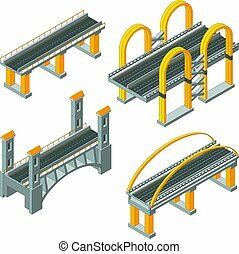 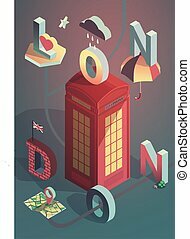 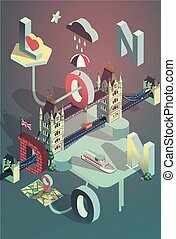 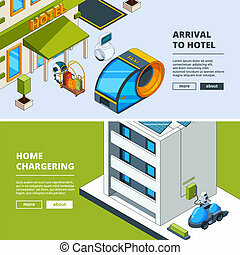 Vector isometric bridge. 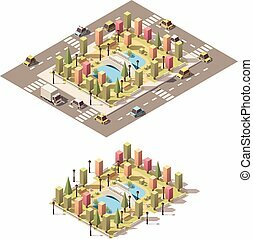 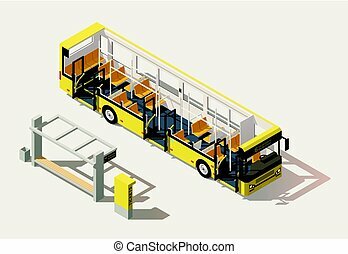 Transport infrastructure 3d element representing low poly structure for city map creation.